How late is too late to submit a feedback form? I know the date and seat and flight number, but am not a FIN# recording aficionado. At the very least, I would like to ensure they hear about the prevalence of the problem, not just the tip of the iceberg that complains. It's never too late, the Company can track fin numbers. We rely heavily upon our Customers to identify inoperative items to ensure that they are fixed at the next landing point or earliest opportunity. There's really no trick. There is a specific reset procedure, and while I agree it's a nuisance, it is generally successful. Only once have I had to log the seat as inoperative, and relocate the Customer. I had two seats yesterday where the reset re-inflated it, but then it deflated again. If it deflated once, there's a leak, and pumping more are in isn't going to "solve" the problem. It needs a ride height sensor like a car with air suspension! As the cushion deflates the compressor can kick in to reinflate. Sometimes I do this the first time and it deflates after some time... and after the second manual DIY reset, it doesn't deflate for the rest of the trip... so I'm not sure if it is entirely true that if it deflates after a manual DIY that there's necessarily a leak. Well then how did it deflate the first time? Too many comfort muffins inside the previous pax? 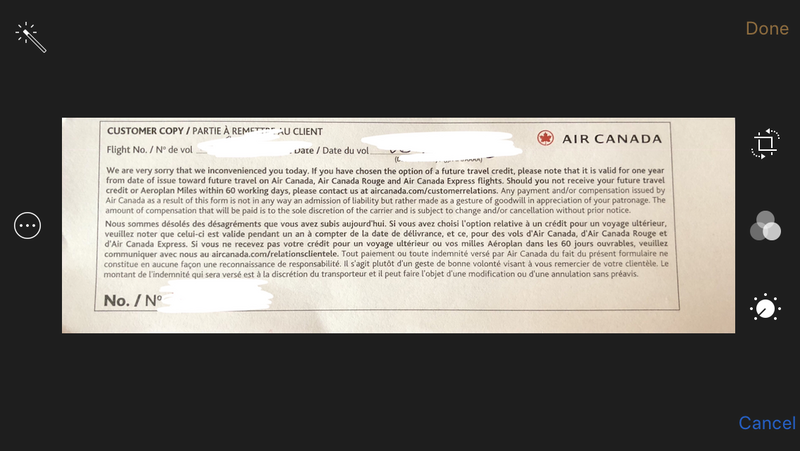 Isn't it kind of appalling that this is a thing for premium seats that cost several thousands of dollars, which are the focus of much of the advertising and branding of Air Canada, that there seems to be little initiative to fix it, and even worse, most of us in here would expect them to do nothing about it other than hack-fixes by onboard staff? Actually, I started this thread because I was pretty sure it was a mostly unreported widespread issue. If AC doesn't know about it, or they think it's the occasional seat here and there, what would you expect them to do, other than alert maintenance that seat ABC on fin XYZ is defective? Well, now AC knows, and the responses in this thread should make it very clear just how widespread it is. The rate of failures for these seats is alarming based on the responses in this thread. I've had this issue at least 5 times out about 50 segments in these seats across the 788, 789, 77W and 77Ls (so about 10%). I only wrote in 3 times, but now I'm going to write in each and every time just so its on record (in addition to reporting it to the crew, who may or may not actually log it). Compensation has ranged from a return of eUpgrades, to a $300 voucher (for YYZ-SFO in I class). I think it would be a bit naive to think that AC has no knowledge of this problem (but perhaps not how widespread it is), but if I were them I hope their warranty/contract with the supplier will get this fixed (including replacing or redesigning the seats at the supplier's cost). If you report it, we log it. Not at all sure why you would think otherwise. It's also common protocol to advise the pilots who datalink ahead the list of issues to MTC Control. I’m sure you do (not sure if I’ve had the pleasure of flying with you yet), but unfortunately I’ve met some of your colleagues who seemed to not care about things like this and have told me if I’m unhappy to write in to customer service. It seems the majority of you fliers on AC's air mattress business class product have never owned a car with air suspension. Based on my experience having owned several of said cars, I'm going to suspect there's a serious leakage problem going on here. Perhaps the motors that inflate the air into the mattresses are getting blown out due to them constantly being on. 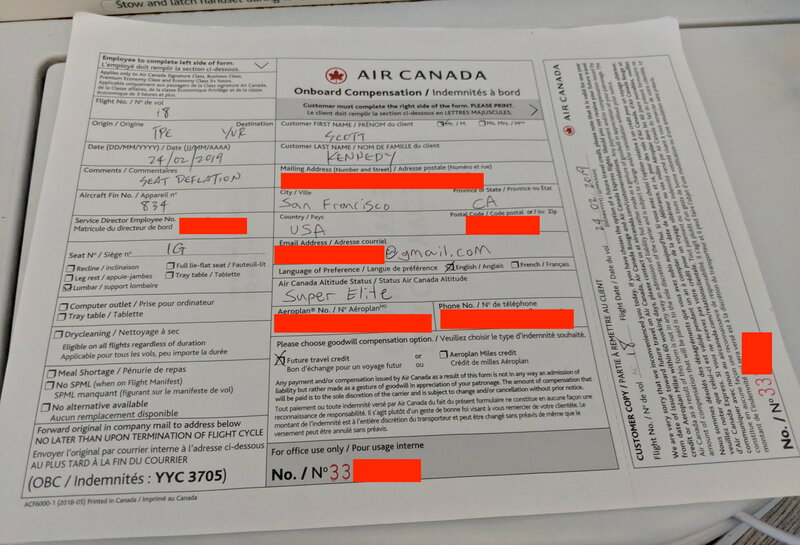 Given the multiple datapoints that this thread has now given us, I highly suggest Air Canada investigate this potentially systemic issue with the seat manufacturer. Something seems strangely amiss here, although this may explain why several business class products in this type of Dreamcabin configuration don't have an air mattress. These are the Super Diamond seat made by BE Aerospace. Now Rockwell Collins. And others who utilize the Seat (QR,AA etc). are finding proactive solutions to issues. The issue with the lifting table laminate has been addressed as all tables are undergoing a replacement -- believe that's over 1700 in all. Maintenance & Engineering are on it.